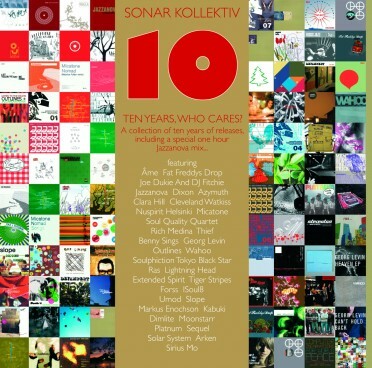 The release of the …broad casting compilation (SK092CD) in summer 2006 was the logical (and over due) conclusion of JAZZANOVA’s year long radio work. Their „JAZZANOVA Radio Show“ enjoys cult status with its listeners and the playlists are torn from their hands. 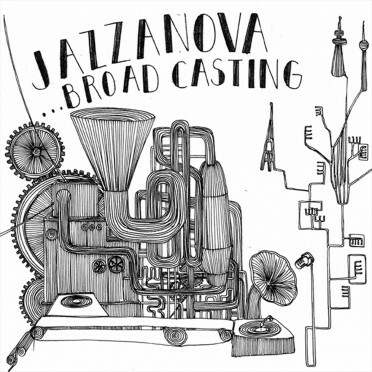 When it came to the question of who should do the second issue of …broad casting they immediately turned to DJ, radio presenter and producer DIRK RUMPFF; he is after all a „extended family member“ (ALEX BARCK’s own words) of the JAZZANOVA family. He has been a companion to JAZZANOVA for many years, has had numerous points of contact Sonar Kollektiv, can look back on an wide spectrum of outstanding activities and has a great friendship especially with JAZZANOVA member ALEX BARCK which is not only based on their mutual love for music. The story starts in Marburg, Germany in the 90s. DIRK RUMPFF organised club nights there and he invited ALEX BARCK to play at one of these nights. That’s where it all started, ALEX returned the invitation and brought DIRK to Berlin, and it all followed on from there. Other DJs who DIRK RUMPFF has had play at his events first in Marburg, later in Munich and lately in Berlin include such well known and esteemed names as BEANFIELD, JAZZANOVA, MICHAEL RUETTEN or even ÂME. As a member of the group SEASON, DIRK RUMPFF can look back on releases on Munich’s Sonar-Kollektiv colleagues Compost Records as well as remixes for HEAVENLY SOCIAL or SANDBOY, the alter ego of Ex-BEANFIELD member TOBIAS MEGGLE. In parallel to all this, DIRK RUMPFF has been responsible for the fortnightly radio show OFFtrack for the last eight years. He is one of the pioneers of internet radio. Through the diverse digital channels of this new medium he has built up a world wide fan base who value the excellent music choice of DIRK RUMPFF as much as the illustrious list of guest appearances. These include CAPITOL A, HENRIK SCHWARZ, MOONSTARR, MARK DE CLIVE LOWE and TRICKSKI to name but a few. With his OFFtrack-project DIRK RUMPFF has found the perfect vehicle for his sincere devotion to music: his goal is about beating a path through the unthinkably big jungle that is contemporary music, to seek out the pearls that really mean something, and at the same time creating a platform for his extensive network of music and friends. A place in the virtual space where bridges are built and a multiplicity of musical currents can come into contact with one another. Its a place where that which has long since ceased to take place in conventional radio can happen: dramaturgy, adventure and surprising changes. All this can be found in a condensed form on the new …broad casting compilation which takes in a spectrum of sound ranging from everything from Broken Beat via soulful downbeat to hip hip. And one of the most important red threads that runs throughout this selection is folk orientated song writing. No wonder as for DIRK RUMPFF its all about a certain kind of timelessness, he’s interested in already seasoned tracks which although they have been around for a while already have by no means yet reached their half life. 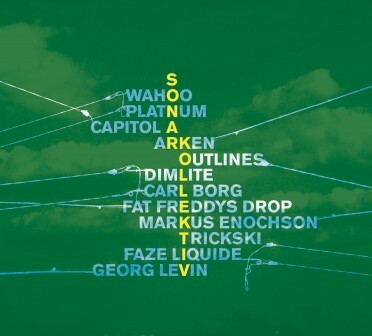 In his compilation which is as flowing as it is exciting can be heard contributions by STATE RIVER WIDENING, SEASON, SOULTOURIST, TRICKSKI, REDNOSE DISTRIKT (feat. BENNY SINGS), OUTLINES, MARK PRITCHARD, CLYDE & CAPITOL A, SLOPE, CLARA HILL, ZOETIC, FAT FREDDYS DROP, DEYAMPERT, THE SLAPPED EYEBALLERS, HAUSCHKA and last but not least BEV LEE HARLING.